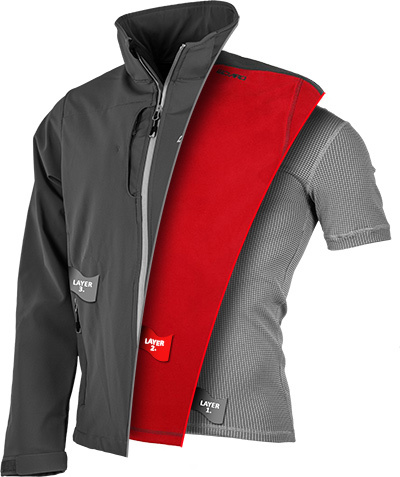 The main function of the second layer is to regulate the body temperature. 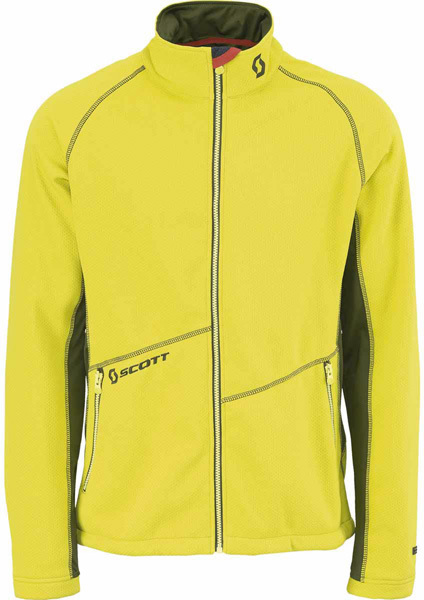 It's worn directly over the base layer and is usually made of synthetic materials or natural Merino wool as these fabrics are able to maintain their insulating properties even when wet. Wool is an excellent insulant, however it also absorbs moisture and therefore loses its thermal insulating properties. This layer has to be breathable. Most insulating second layers are constructed of a variety of fleece fabrics. The principle of thermal insulation is 'loft'. Loft refers to the amount of air retained by an insulating material which works as an insulant. In extremely cold conditions it ss advisable to use multiple layers for better temperature control; layers can always be removed or added to regulate your body temperature. Whether exercising in cold climates, warming up before a workout or for casual wear, the second layer is an essential element of the layering system. The principal function of the second layer is to provide thermal insulation together with transporting the sweat to the outer layer(s) or outside. To ensure highest functionality as possible, the models combine materials with different thickness according to the particular thermoregulation requirements of various zones of human body (bodymapping). In brief, body parts prone to chilling, are protected with a thicker material. Body parts prone to sweating are on the other hand protected with a thinner material. The second layer is often a fleece layer made of polyester which may sometimes contain polyamide, just like the base layer. The difference lies in the manufacture technology. 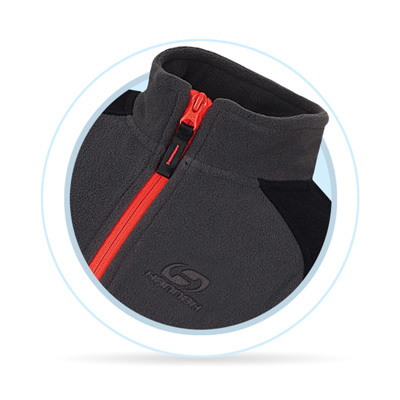 Fleece is breathable and endowed with longer fibres, which are able to retain more air and consequently more heat. Fleece comes in various levels of thickness depending on different weather conditions. Thanks to the advancing technology, fleece is not the only material used for second layer clothing, but it is still a common one. When choosing the cut of the second layer, you should decide depending on your planned activity. For instance, the apparel for cycling or cross-country skiing should have longer back and anatomically cut sleeves. Sleeves with thumb holes protect hands from the cold and prevent the sleeves from rolling up, which can be an advantage for sports such as cross-country skiing, biking, or simply for everyone who is sensitive to the cold. Most of the second layer garment features raised stand-up collar to protect your neck, and a zipper which makes dressing up easier. The zipper can also be used for ventilation.